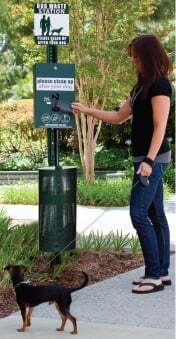 Encourage responsible pet ownership and help keep your park/community clean with our handy waste pick up stations! 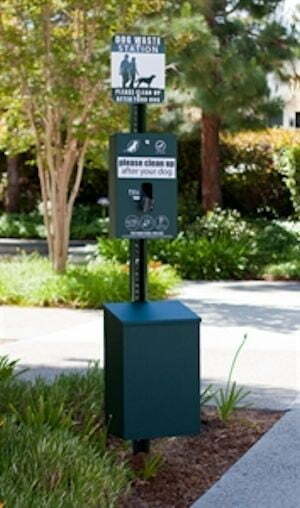 Dispenser, post, sign, 400 single pull style bags, waste receptacle, 50 can liners, and 2 keys. Dispensers and signs are screen printed. Locks are keyed alike for easy maintenance and refills. Dispenses 800 bags at a time. 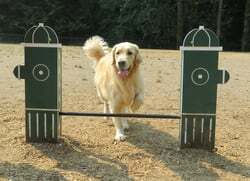 Add a $25.00 custom sign to recognize sponsor/donor - sign is 12"w x 6"H and all aluminum for resistance to rust. Sign hardware not included. 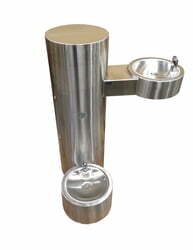 Dispenser is commercial grade, powder-coated aluminum. 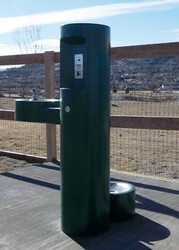 Waste Receptacle: 11 gallon square or 10 gallon perforated round. Includes hardware and installation instructions. Flat Rate Shipping: $45.00 (Continental US only - addt'l charge for HI, AK and APO). Orders of 9 or more units subject to LTL rates.